No line taken by the government in this matter will please everyone. Perhaps it will plough through with the deal and weather the heat from critics, no matter how persistent. Alternatively, if it decides to open the books on the Saudi deal, and the contract is altered, suspended or cancelled, there will be complaints from those concerned for the economy. The Saudi arms deal presents the new government with an admittedly complex policy challenge. But challenges can result in opportunity. 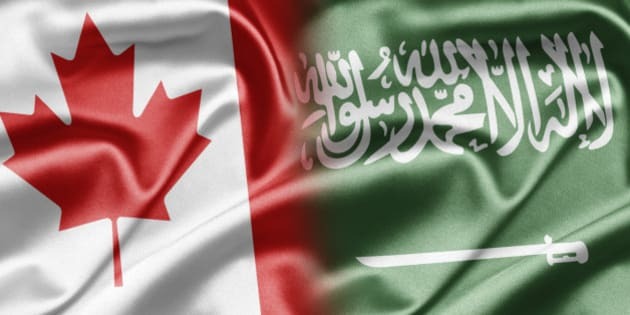 In an apparent and welcome reversal, Ottawa seems to be reconsidering its position on the $15-billion contract for Canadian-made military equipment with Saudi Arabia -- one of the worst human rights violators in the world. Only days after Foreign Affairs Minister Stéphane Dion seemed to signal the irreversibility of the contract, declaring emphatically that "what is done is done," an official statement from his department stated: "Should we become aware of reports that would be relevant to Canada's export control regime, the government can consider whether existing permits should be suspended or cancelled." For once, Ottawa conceded that existing arms deal authorizations can be reassessed. The peculiar wording in this statement suggests that reports relevant to Canada's export controls -- or the Saudi arms deal in particular -- are merely an eventual possibility. Yet there are at least a dozen existing relevant reports. Most recently, a UN report leaked to The Guardianreveals that a panel established by the UN to investigate the Saudi-led bombing campaign in Yemen exposed "widespread and systematic" attacks on civilian targets "in violation of international humanitarian law." Just a few weeks earlier, Saudi Arabia made international headlines for the summary executions of nearly 50 individuals. "The fact remains that the government has not once explained how the Saudi deal satisfies the human rights safeguards of the existing export control regime." Saudi Arabia rates a failing grade in virtually every conceivable category of human rights. In its World Report 2015, Human Right Watch stated that "Saudi Arabia's discriminatory male guardianship system remains intact despite government pledges to abolish it." It further stated that "ministerial policies and practices forbid women from obtaining a passport, marrying, traveling or accessing higher education without the approval of a male guardian." In December 2014, Saudi Arabia's grand mufti said that he had "no intention to discuss" the call to restrict marriage to girls at least 15 years of age. In a 2014 interview, he described marriages of girls below that age as "permissible." This from the most senior religious leader in the Kingdom, a royal appointee. According to Freedom in the World 2015 by Freedom House, in Saudi Arabia "allegations of torture by police and prison officials are common, and access to prisoners by independent human rights and legal organizations is strictly limited." Amnesty International has reported that the Saudi regime targets "the small but vocal community of human rights defenders, using anti-terrorism laws to suppress their peaceful actions." Ottawa can expect reports relevant to arms exports authorizations to emerge with troubling regularity. And unless it indulges in willful blindness, it will "become aware" of them. But while the government has apparently acknowledged that it "can" reassess existing exports permits, the fundamental question is not whether it can, but whether it will. Though the government's latest statement constitutes a shift in the right direction, it stands as a testament to the erratic manner in which Ottawa has attempted to rationalize the deal. The fact remains that the government has not once explained how the Saudi deal satisfies the human rights safeguards of the existing export control regime. Meanwhile, the new federal government has announced its intention to join -- finally -- the international Arms Trade Treaty (ATT). This was not only one of Trudeau's election pledges, but a priority in minister Dion's mandate letter. This decision should be applauded and has been welcomed enthusiastically at home and abroad. But how can Canada reconcile plans to join the ATT, with its provisions for transparency and accountability, with an apparent unwillingness to reveal any details about the Saudi deal? Two successive governments have failed to address legitimate questions about the human rights implications of this deal. At the same time, traditional supporters of human rights in Canada -- including political parties and labour unions -- have shied away from this vital debate. If the deal with Saudi Arabia is cancelled, jobs, primarily in southwestern Ontario, might well be at stake. Some say the number could be as high as 3,000, although these claims have not been supported. But no one ever said that sticking to principle is a cost-free proposition. No line taken by the government in this matter will please everyone. Perhaps it will plough through with the deal and weather the heat from critics, no matter how persistent. Alternatively, if it decides to open the books on the Saudi deal, and the contract is altered, suspended or cancelled, there will be complaints from those concerned for the economy. The Saudi arms deal presents the new government with an admittedly complex policy challenge. But challenges can result in opportunity. And make no mistake: this is an opportunity unlike many others for Justin Trudeau's government not only to start cementing its legacy, but to show its true colours.